Linda Thompson celebrates the music of the English music hall. 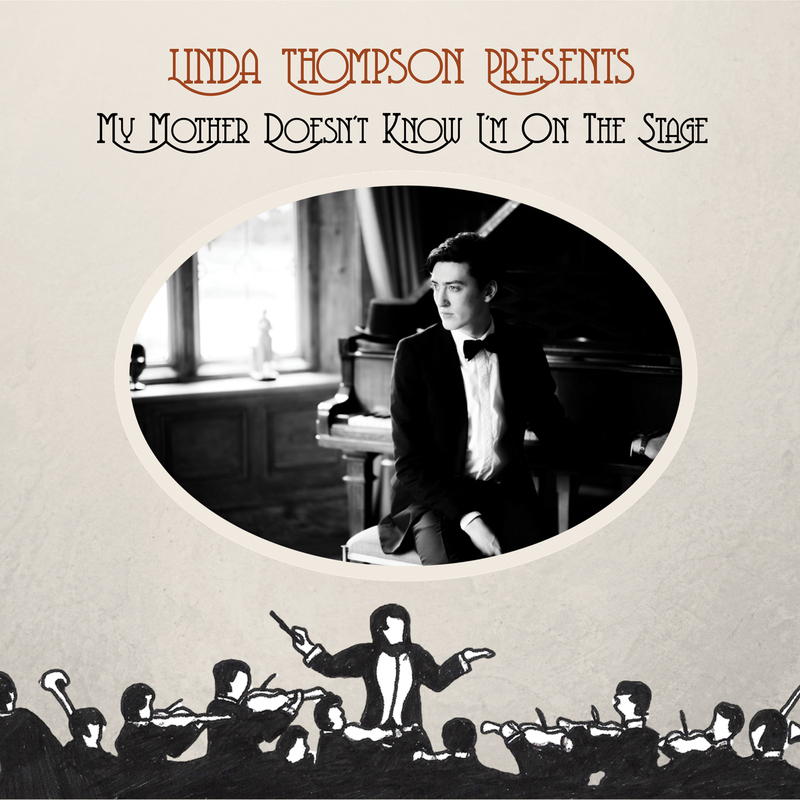 Linda Thompson’s career begins in the much beloved late ’60s, early ’70s British folk-rock scene. At first, she was mostly a session singer and a part of a short-lived duo with Paul McNeill with whom she released two singles in 1968 and 1969. McNeill happened to be friends with Sandy Denny, and soon so was Linda. She became one of the “supergroup” of musician friends related to Fairport Convention for the 1972 The Bunch album, a side project of sorts, featuring rock hits of the ’50s. The album’s single featured Linda and Sandy Denny covering The Everly Brothers’ “When Will I Be Loved.” Also in 1972 Linda married Richard Thompson and Linda (with Sandy Denny) can be found in the credits for Richard’s 1972 solo debut, Henry The Human Fly. 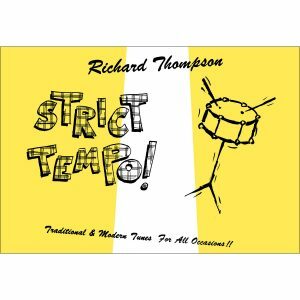 Beginning in 1974, albums started appearing by Richard & Linda Thompson winding up with the classic Shoot Out The Lights in 1982 which also signaled the end of their marriage. Enter the English theatre! In 1984, Linda was singing with The Home Service at the National Theatre’s production of medieval mystery plays, before releasing her first solo album One Clear Moment in 1985. Unfortunately, due to dysphonia (a condition affecting her voice and ability to sing), One Clear Moment remained her only solo effort until 2002’s Fashionably Late by which time she had found a will and a way to continue singing despite the dysphonia. In 1987, the song “Telling Me Lies” from One Clear Moment was covered by Emmylou Harris, Dolly Parton and Linda Ronstadt for their Trio album and was nominated for the 1987 Best Country Song Grammy. In the 21st century, Linda has released or been a part of five albums to date bringing us to My Mother Doesn’t Know I’m On The Stage. Also along for the ride is actor Academy Award®-winning actor Colin Firth, who happens to be a fan of Linda’s son, recording artist, Teddy Thompson. Teddy brought Firth into the project and he handles the title track with all the wit and charm the title conjures. Teddy appears as well, handling lead vocal duties on several songs. Tony®-nominated cabaret artist, Justin Vivian Bond takes a turn at “A Good Man Is Hard To Find,” while both music hall singing legend, John Foreman, and renowned English folksinger Bob Davenport, tie the album back to its roots as artists who have been performing since the ’50s and early ’60s. Irish folk singer Cara Dillon with Sam Lakeman, Jools Holland with the actor Roy Hudd, concertina player Roger Digby, music director Michael Haslam, Stephen Large of Squeeze, James Walbourne of Pretenders and The Rails, and even George Hinschliffe of The Ukelele Orchestra of Great Britain all join in the fun, evoking the bygone era of the saloons and public houses where people could go to dance, sing, drink, smoke and joke, and let the cares of the world fall away for a while. Linda sums it up perfectly, “Drunk? Us? How very dare you?” Come join the fun!